Trygve Reenskaug is professor emeritus of informatics at the University of Oslo and senior technical advisor to Mogul Technology AS. He has 40 years experience in software engineering research and the development of industrial strength software products. He has extensive teaching and speaking experience including keynotes, talks and tutorials. 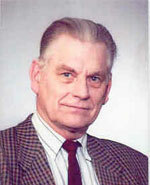 His firsts include the Autokon system for computer aided design of ships with end user programming language, structured programming, and a data base oriented architecture in 1960; object oriented applications and collaboration (role) modeling in 1973; Model-View-Controller, the industry standard pattern for user interface architectures, in 1979; OOram role modeling method and tool in 1983; and the premier book on role modeling in 1995. He was a member of the UML Core Team, was a major contributor to UML 1.4, and is currently involved with the emerging UML 2.0. His current research focus is on the creation of the InfoBoard, a personal information environment based on Smalltalk and using a variant of UML as its programming language.